by Eustace D�Souza. All Rights Reserved. PRECEDING ATTACK ON INDIAN NATIONAL ARMY. Any hopes of a respite were dashed when B Company was ordered to move to Shuganu on being placed under command of the Frontier Force 20 Infantry Division. On April 16, 1944 the Battalion was ordered to move to the Shenam position to join 37 Brigade which had taken over responsibility from 20 Division and where the detached C Company rejoined it from Shuganu. But this move was not for long when the Battalion was sent to Kakching where it arrived just in time as the enemy was attacking the Palel Air Strip. The role of the 4th Battalion/ Mahrattas as fire fighters appeared to becoming more apparent. Again, after only a day at Kakching, the 4th was moved to a position South of the Palel Strip to relieve the Seaforth Highlanders. On May 21 the Battalion moved once again to Yapo where Major Jimmie Barr from the Regimental Centre, joined it to take the place of Major Higgins, whom, it will be recalled, was killed near Litan. Having marched back to its old positions the Unit contiued patrolling the area without incident. 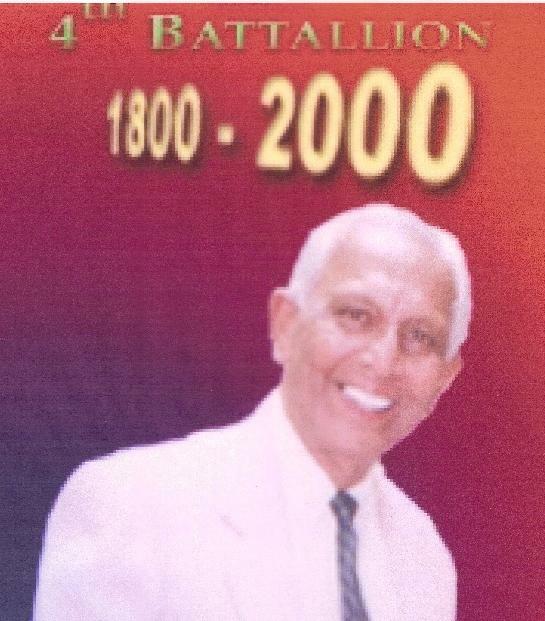 By the end of May Captain Pudlo Thapa rejoined his beloved 4th having recovered from his wounds sustained at Sangshak. He was warmly received. The next task given was to launch an attack against a brigade of Subhas Chandra Bose's 'Indian National Army' (INA), established in the hills of Palel near the village Mitlong Khunou. 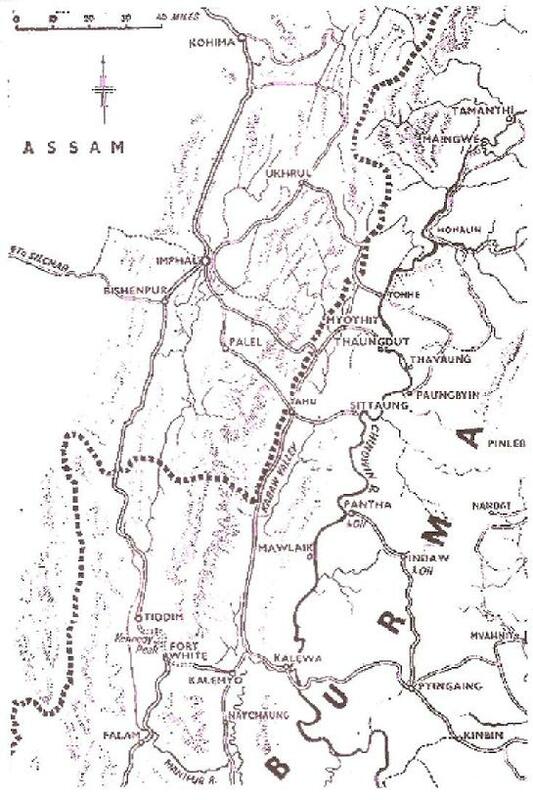 (please see map: 'Yapo and the Indian National Army ,1944'). After a long and tiresome march overloaded with column rations, Captain Bessell�s B Company reached its location without a single fall-out en route and soon reported the position of the enemy on a high feature. The plan was to attack at first light after a night approach march to gain surprise though the going for mules was a problem for which the Sappers hoped to have a crossing across a chaung or stream. Further, if surprise was compromised, the Battalion would still push home the attack with artillery support from Shenam and the battery of 28 Mountain Regiment which had moved with the Battalion and had taken up gun positions at Mitlong. The plan evolved by Lieutenant Colonel Trim to take this feature was in three phases. B Company to act as advance guard and seize the feature nicknamed Tree Hill. D Company to push through and take the next bump. Finally A Company to pass through D Company and take the final objective, the crest of the hill. The Battalion left the concentration at 0200 hours and after much difficulty crossing the chaung and clambering up the high banks, arrived near the first objective. Unfortunately, surprise was compromised when two I N A personnel came down the path to fetch water and caught sight of the Mahrattas. They rushed back to warn their comrades. By this time B Company had occupied its objective and consolidated as the enemy showered rifle grenades on it. As soon as Battalion �Tac� HQ arrived on Tree Hill and became aware that surprise had been compromised, the Commanding Officer issued confirmatory orders for the attack to be launched. The planned artillery concentration was brought down on D Company objective. This did not deter the enemy from launching an attack on B Company mistaking it as a patrol. It was beaten back with the loss to the Mahrattas of one killed and two wounded. D Company launched its attack supported by fire by the artillery and B Company. The INA held on tenaciously and only a determined bayonet charge dislodged them with D Company suffering 11 wounded, two seriously. While in the process of consolidating, the enemy counterattacked. Jemadar Baburao Khanvilkar rallied a small group of men and drove off the attack with bayonets; he himself killed two and wounded several others. For his prompt action and earlier gallantry he was awarded the M C.
And now to the final phase. While the artillery softened the crest and A Company was preparing to assault, a group of about 30 of the enemy were seen approaching D Company and so A Company attack was held up. 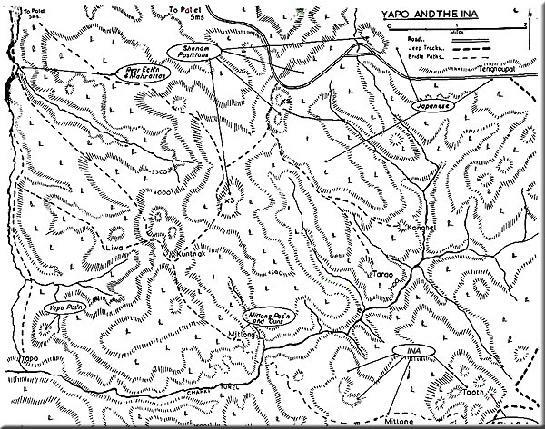 While D Company dealt successfully with this party with well directed 2 inch Mortar fire, at the cost of a Platoon Commander and 4 Other Ranks wounded, A Company moved forward for the kill at 0915 hours and by 1130 hours had cleared the objective with the enemy fleeing in the direction of Mitlong Khonou. Consoldation and forward patrolling commenced. It was discovered that Mitlong Khonou must have been held in strength. Two I N A wounded found on the objective reported that the enemy had fled and had suffered 60 to 70 casualties, mostly by shell fire. Water again proved to be a collection problem involving a turn round time of 2 hours. Tea made from water collected in ground sheets tasted of rubber. It was a cold night for All Ranks on the crest. A �B� Company platoon patrol under Captain Bessell reported that the enemy was strongly ensconced on a high natural defensive position nicknamed Tooth, with an approach along a knife ridge. Jackie Trim decided to advance to and halt within striking distance of this location. Small patrols were sent forward to probe. While working out an attack plan, a patrol reported that the enemy had withdrawn and A Company occupied Tooth. It was now decided to call off any further advance and by June 7, the Battalion returned to its base. Though the intensity of this operation was �light�, the long arduous approach marches and the difficulty in evacuating casualties were formidable. Thanks to Captain Edwards and his mobile surgical team which had accompanied the column, shop was set up at Mitlong where many lives and limbs were saved. After being on the move for one week the men got a chance to bathe, wash their clothes and carry out �make and mend�. Another notch had been made.